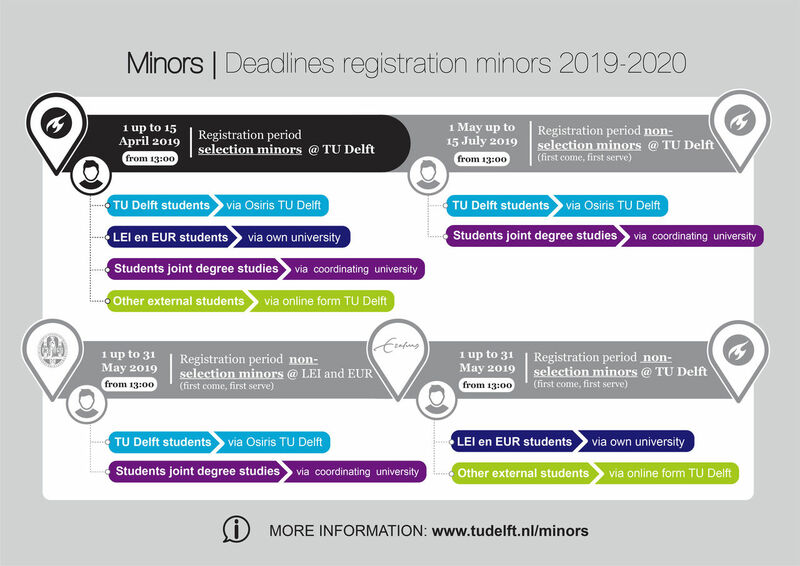 TU Delft students can find more information about the registration procedure and deadlines of selection minors and non-selection minors here. External students can find more information about the registration procedure and deadlines here. LEI and EUR students can find more information about the registration procedure and deadlines here.